Have you accidentally deleted some of your call history? This can be a big problem especially when there are some unsaved phone numbers on the call history that you really must get back. if you have a backup, all you have to do is to restore the device from the backup and your call history will be back. But if you don't have a backup, or you don't want to restore the entire backup to get the call history back, you may need a special solution. In this article, we are going to share with you this special solution. With it, you have the chance to view and retrieve deleted call log on iPhone XS, iPhone XS Max quickly and effectively. How Many Calls Can iPhone Call History Keep? There are more than 1000 thousand calls stored on iPhone call history, however, what is visible for users is only the latest 100. Indeed, there is no any chance on this point since the launch of the oldest iPhone 2G to the newest iPhone XR/XS Max/XS/X. It's not the end, you can get some tools to view the call histories for some specified period of time. According to the above table, you may wonder which iPhone recovery tool is reliable. The best way to view and recover deleted call history on iPhone is to use a data recovery tool and the best for the job on the market is iMyFone D-Back iPhone data recovery (iOS 12 supported). This data recovery tool is easy to use as well as efficient. View and recovers 18+ types of deleted/existing data including photos, messages, videos, notes, voice memos, WhatsApp/Kik/Viber/WeChat/Line messages and more. You can view deleted call history from iPhone without backup. It can selectively or fully recover call history from iPhone, iPad, or iPod touch. It can recover call history without affecting your current data on iPhone. It will recover call history without restoring. You are allowed to view call history within iTunes/iCloud backup whenever you want. You can even preview the files that are recoverable with free trial version before you begin the recovery process. 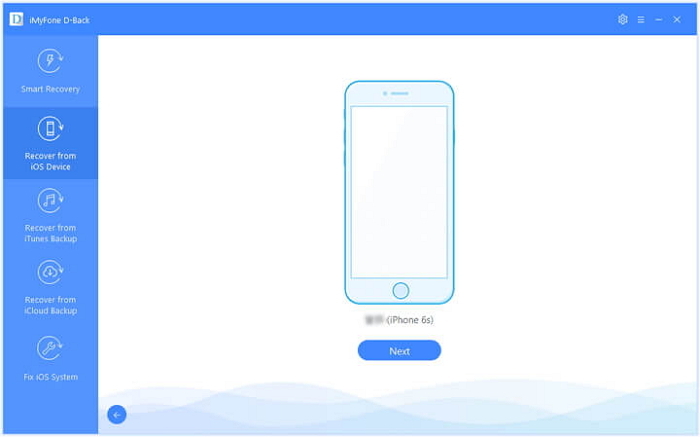 Compatible with almost all iOS devices and versions including iPhone XR, XS, XS Max and iOS 12. It supports over 18+ files, such as photos, text messages, WhatsApp messages, contacts, etc. It uses four different recovery modes to find data and recover quickly. The following is a simple tutorial to help you view deleted call history from your iPhone using iMyFone D-Back. Download and install the program, then follow these very simple steps. Use this recovery mode if you don't have a backup of the missing call history. Step 1.Launch the program and then select the "Recover from iOS device" tab from the main window and then click "Start". Connect the iPhone to the computer using USB cables and then click "Next". Step 2.In the resultant window, select "Call History" under "Message and Call log" and click "Scan". Step 3.Once the scanning process is complete, select the missing call history and then click on "Recover". Step 1.From the main menu, select "Recover from iTunes Backup" and then click "Start" to begin. Choose the iTunes backup file that contains the call history you want to recover and then click "Next". Step 2.In the next window, choose "Call History" and then click "Scan" to continue. Step 3.When the scan is complete, select the numbers you want to recover from the results displayed and then click "Recover." Step 1.From the main menu, choose "Recover from iCloud Backup" and then click "Start". Sign in to your iCloud account. The program will then display all the iCloud Backup files on your account. Select the one that likely has the missing call history and then click "Next". Step 2.Choose "Call history" as the type of data you want to recover. Step 3.The program will begin scanning the backup file for the call history. Once the scanning process is done, select the missing numbers from the results page and then click "Recover" to get the back. Importance of Backing Up iPhone Call History: To prevent the privacy from being exposed, you will probably delete iPhone call history without realizing that you also lose some essential information. Thus you'd better attach great importance to create a backup of the data. 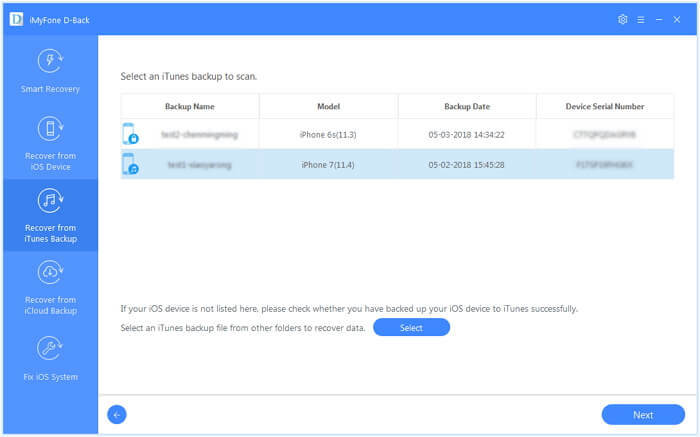 For iPhone users, the backup process can be operated through iTunes and iCloud. 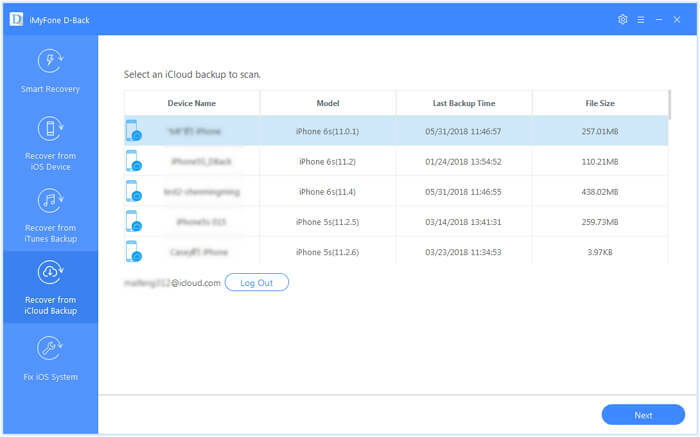 If you encounter the same problem as what is mentioned in this post, try to download the free trial version of iMyFone D-Back iPhone data recovery to view your deleted call history from your iPhone or from iTunes/iCloud backup.